Folks, this is not a joke. Potatoes can fly. 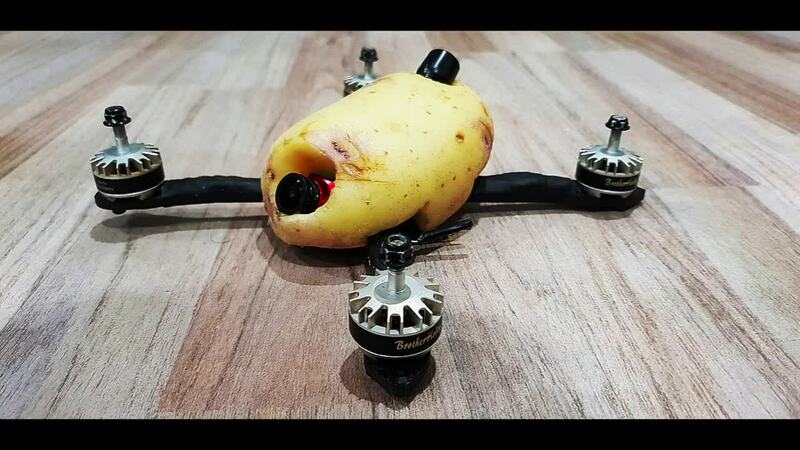 FPV pilot and mad scientist Tangybuttfrog literally baked a quad into a yellow potato and sent it on a rip. The flying ‘tatter even managed a few barrel rolls and loops before flying itself right into the local park’s grill. According to our pilot, a 3 inch tatter tot version is coming soon to AirVuz.com.